The minister confirmed his department had investigated claims of plastic rice and bread that does not dissolve in water. Speaking to the press during a media briefing to declare the listeriosis outbreak over, Health Minister Aaron Motsoaledi addressed growing concerns about ‘fake foods’ allegedly being sold in spaza shops. In recent months, videos posted on social media of unidentified people manufacturing fake foods which are believed to have been sold in spaza shops caused widespread panic. The posts were accompanied by claims of bread that doesn’t expire, rice allegedly made of plastic and eggs made out of unidentified substances. Tensions skyrocketed when a group of residents from White City in Soweto went around looting and attacking shops owned by foreign nationals and two residents died. The violence spread to other parts of the township and various shop owners then fled their neighbourhoods. When asked about his department’s response to the saga, Mostoledi began by explaining the difference between expiry dates and sell-by dates to quell fears about stores selling expired food. He added that there was a global body, called Codex Alimentarius, that governs food laws and even they cannot agree on the issue of a sell-by date for food and as such have done away with the concept. Speaking in a post-press conference interview with eNCA, the minister updated the public about the steps that his department has taken in the fight against ‘fake foods’ since they were first notified of the issue back in June of this year. “On the 8th of December, the chief director of environmental care in the department of health wrote to all the 52 district municipalities and metros in South Africa asking the environmental care practitioners to go and inspect food stuffs all over the province in food-selling facilities and facilities that handle food,” said Mostoaledi. He added that, as of Sunday, the environmental care practitioners had reported back on their findings, confirming that they had discovered expired foodstuffs, food with “the wrong sell-by dates”, and food that the shop owners were producing without having followed municipality by-laws governing food production. Motsoaledi confirmed that these premises had been closed down in accordance with the law. “What we did not find, however, is something called a ‘fake food’ in the sense I have mentioned – rice made out of plastic, bread that does not melt in water…” he added. Mostoaledi also went on to state that companies being affected by this alleged counterfeiting, working in conjunction with the consumer commission had also not found these ‘fake foods’. The minister confirmed two cases of counterfeit goods in which criminals were arrested for producing products and pedaling them as though they were Valpre water and Robertsons Spices. Because the products shown on social media were never found in the course of their investigations, the department has set up a national line for residents to report these ‘fake foods’. They had also pleaded with people who have these products in their possession to turn them over to the department for use in their investigations. 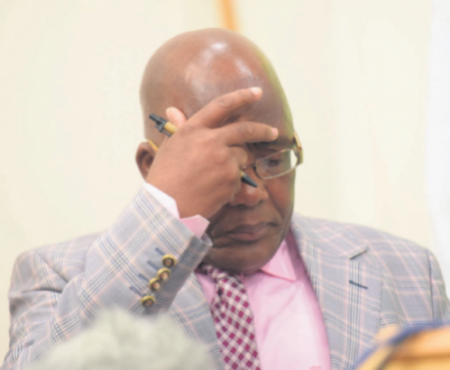 Motsoaledi has confirmed that those who have proof of purchase will be reimbursed for the products they buy and thereafter turn in to the department.